You can shop our shodo collection below using PayPal, or you can buy/order customized shodo on papers only, framed or kakejiku. Just contact us what you need then we can discuss further. This shodo is written on yelowish orange shuan (xuan) paper with gold dots. Ichi Go Ichi E means "One Encounter, One Opportunity", is Japanese saying that depicts cultural concept that is often related to chanoyu master Sen No Rikyu. 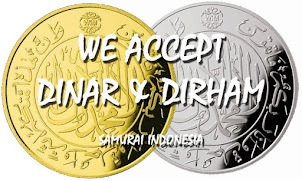 The term ichi go ichi e is often translated as "only this opportunity", "there will be no other opportunity", or "one opportunity in a life time". Ichi go ichi e was actually often said by Ii Naosuke (1815-1860) who was chief of administrator of Tokugawa shogunate. Ichi go ichi e is often used in Budo communities (Japanese Martial Arts). Often this concept is used for admonishing a reckless student or those who stop in the middle of their execution of their techniques then repeat it from the beginning again, rather than completing their techniques although incorrect. In a life death confrontation, there will be no chance to "repeat". Although the techniques are repeated many times at dojo, each practitioner must see it and consider it as as a single decisive moment. Ichi Go Ichi E is often used as the learning concept of Aikido, Jujutsu, as wel as sword techniques such as Iaijutsu and Kenjutsu. 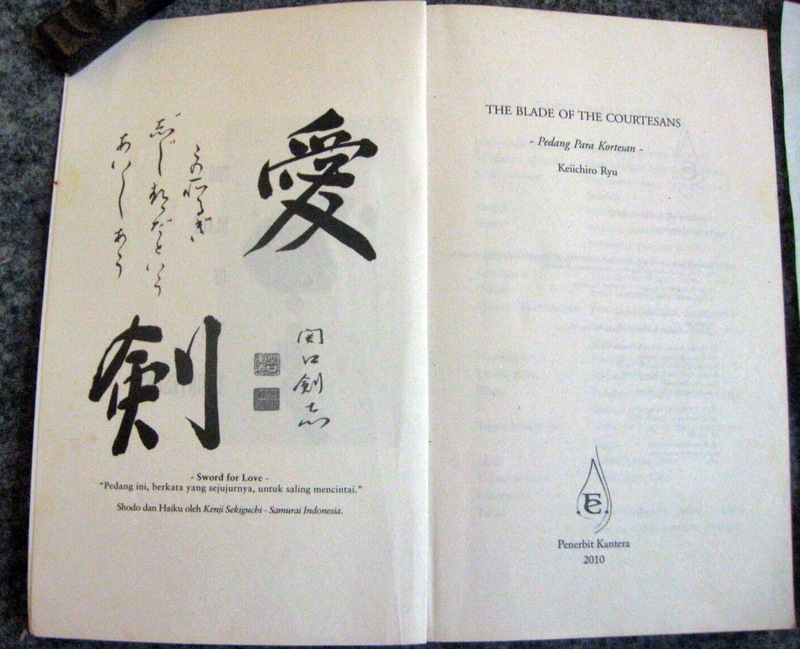 Left: Ken Hitsu Ichi Nyo, which means sword and brush are one. 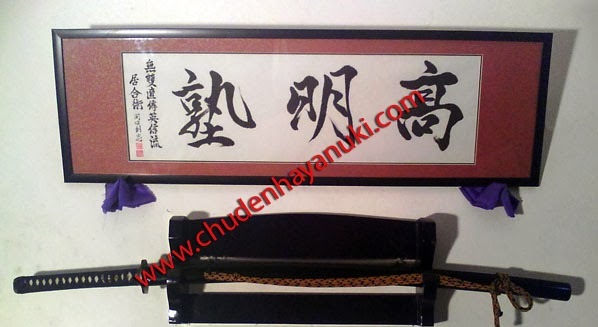 This shodo is very suitable for those who practice samurai swordsmanship such as Kendo Kenjutsu, Iaijutsu or Iaido who also study Japanese Calligraphy (Shodo). Middle: Makoto, which consists of 2 characters, the left one means mouth that produces words. And the character on the right is sei which means achieving, success. Makoto means honest in saying and doing. Makoto is one of the 7 virtues of Bushido and became the slogan that was highly respected by the shinsengumi samurai in the last era of Tokugawa. Right: Chuugi, which has 2 characters. The first character is chuu which means sincere or loyal. This character expresses the real loyalty. We can see a heart on the character chuu and a symbol middle above it. Chuu can mean there is no conflict in the heart, loyal to what is in heart. The second kanji is gi, which means the right doing or obligation. Chuugi is to act honestly and loyally. 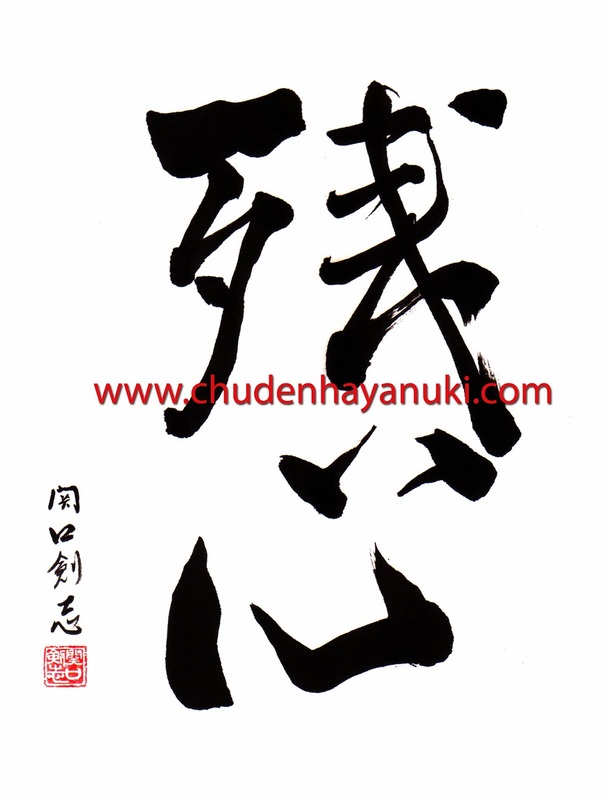 Chuugi is also one of the 7 virtues of Bushido. 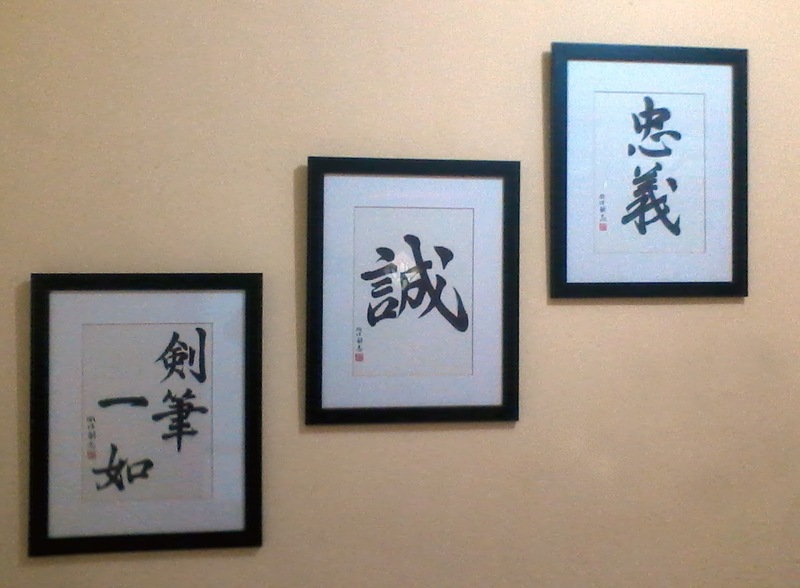 These three shodo is very ideal for dojo's decoration such as Aikido, Jujutsu, Aikijujutsu, Iaijutsu, Kenjutsu, Kendo, Ninjutsu, Karate and other dojo. If you hang them at home, of course they will also add asians touch on your home if you are one of Japanese art lovers. Kenji Sekiguchi sensei also accepts orders of shodo without frames. He will write the shodo of any characters you order then send the paper (after undergoing mounting process) to you via mail then you can frame it yourself, that way will be much cheaper. Please contact Kenji Sekiguchi sensei via WA: 0813 5763 5764 if you want to order shodo, he will then send you the invoice via PayPal. Kenji Sekiguchi has been a member of Nihon Shuji Kyoiku Zaidan since 2008 till now. Nihon Shuji Kyoiku Zaidan is one of the largest Shodo Organization in Japan which has more than 800,000 members since 1953. Kenji Sekiguchi often won shodo competitions held by the organization. 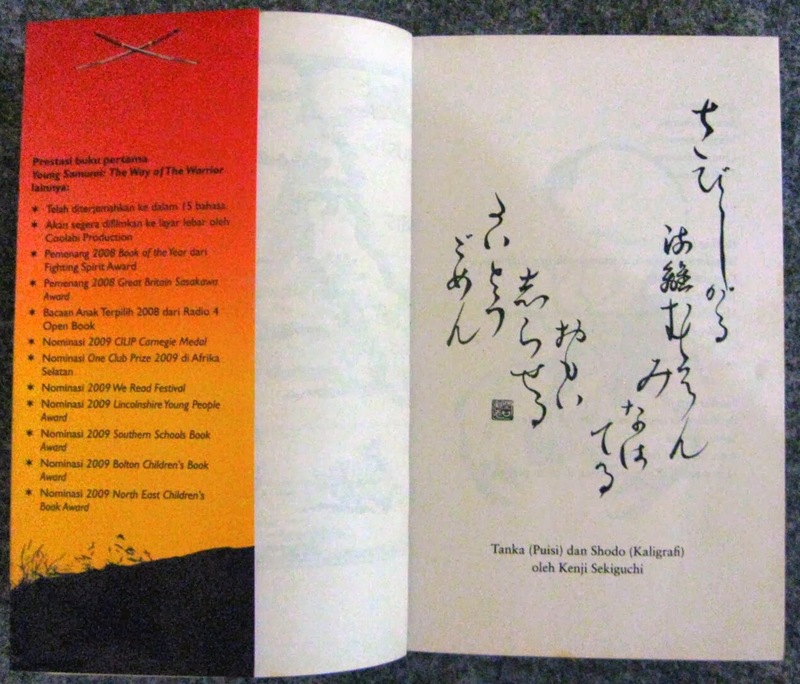 And before joining with Nihon Shuji, Kenji Sekiguchi had been studied shodo in Surabaya with Tomuro Soburo sensei (a Japanese shodo sensei living in Surabaya) since 2005 until 2008 when Tomuro sensei had to leave for Japan. 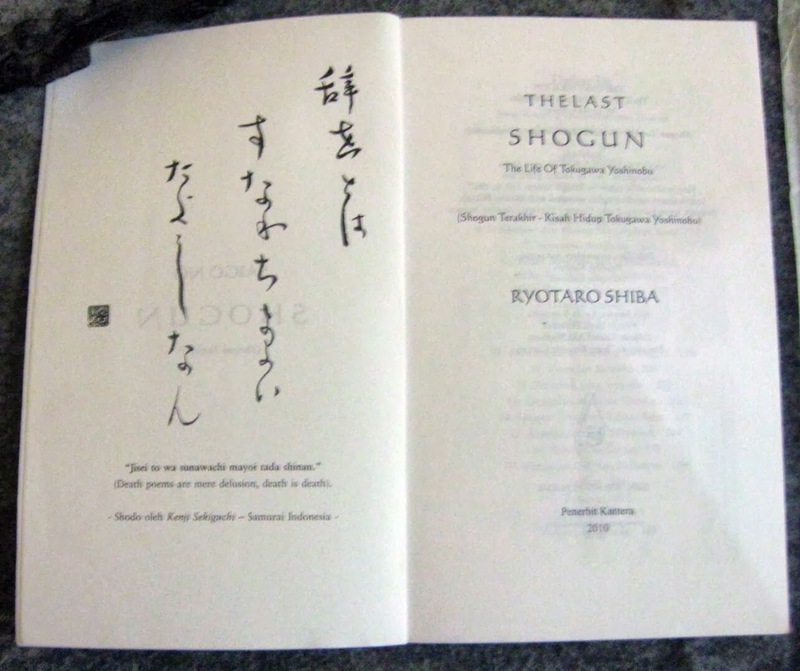 Kenji Sekiguchi is also often asked to create shodo for novels that relates to Samurai, fiction and history. 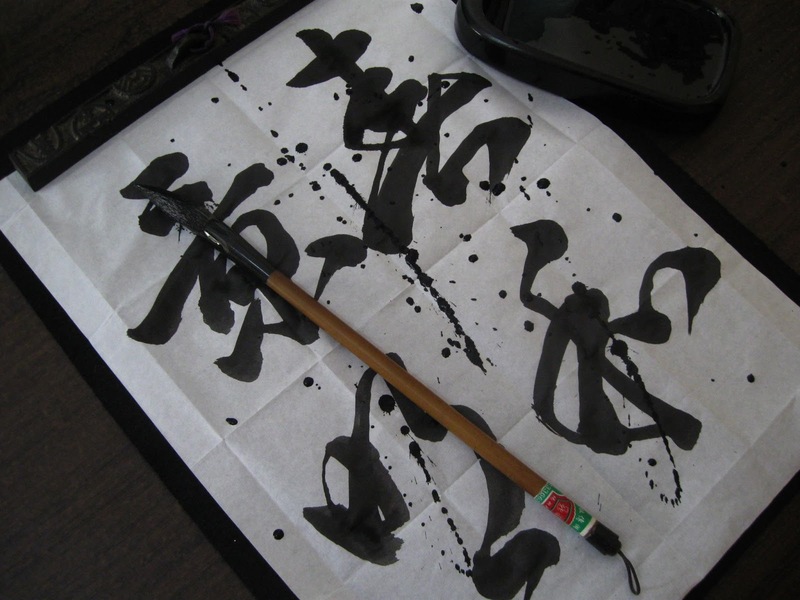 Kenji Sekiguchi sensei is a dedicated shodo artist who never stops learning Japanese Calligraphy. He continuously study shodo from Nihon Shuji Kyoiku Zaidan and other shodo sensei. 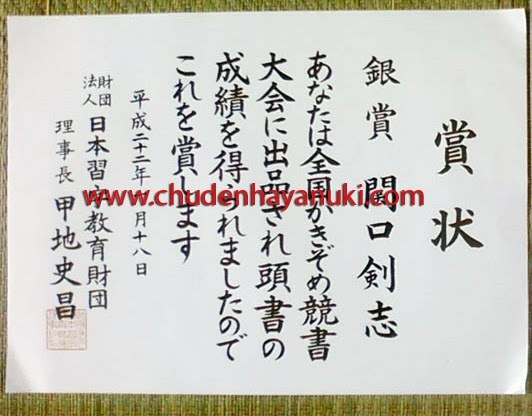 Kenji Sekiguchi sensei also accepts orders of shodo on papers, framed shodo, kakejiku, certificates of Japanese martial arts, and other forms of shodo artworks. Please send message via WA: 0813 5763 5764 to make an order.